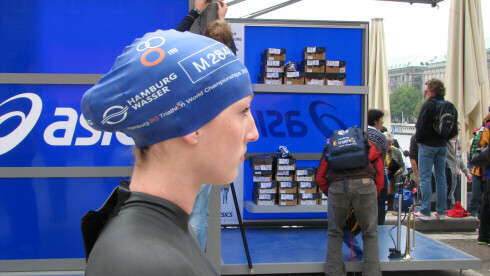 A few days ago her mother Carol contacted me and sent me a few pictures of Mhairi in Hamburg. 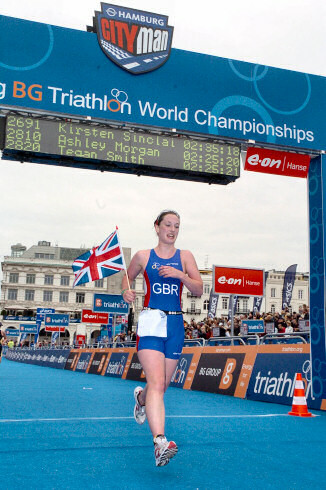 I decided to start with the last picture, Mhairi waving the flag when crossing the finish line. 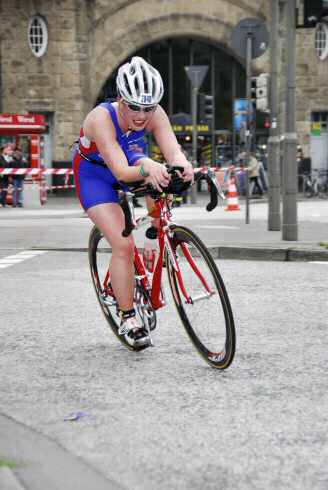 And finally to the middle of the competition (Just to remind those who aren't familiar with it, it is swimming first, then cycling and finally running), on the right is Mhairi on her bike. I'm wondering how fast she's going in the picture, looks like she's going round a bend. But I suspect they will ride at 25+ mph during a race? They were very happy with Hamburg, there was a lot to see and do, although the rain reminded them of Islay. The Hamburg people were lovely and very helpful. Carol also told me that Mhairi did very well out there and has consistently improved over the last year. 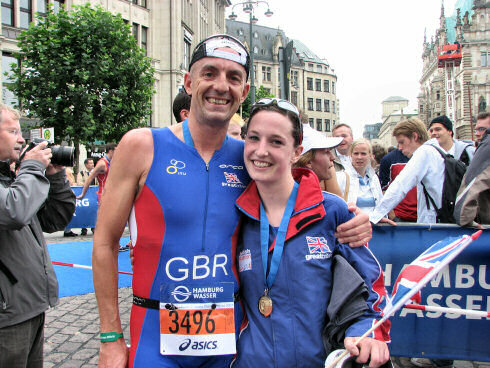 She works very hard and is supported very well by the Royal Navy who are now promoting her as a sporting role model. I'm not sure when and where the next world championship will be, I'll certainly watch out for it to see Mhairi's progress!